How to make sweet sliced cucumber bread and butter pickles, perfect for sandwiches. Boxes filled with cucumbers from the farmers market, scores of mason jars, big pots, lots of activity in the kitchen, fresh homemade pickles. These are some of my memories from summers growing up. My grandmother (dad’s mother) and my parents used to pickle a lot when I was a kid. My dad’s favorite was spicy carrot and cauliflower pickles (I’m still waiting for the recipe); my favorite was sweet watermelon rind pickles (can’t find watermelons with thick enough rinds to make these anymore). Sweet pickles like these bread and butter pickles (who came up with that name?) never lasted that long around here; we kids gobbled them up. Bread and butter pickles are easy to make, and if you are planning to make them as refrigerator pickles (storing them in the cold fridge, to be eaten within weeks), you can skip a lot of the canning steps. This is a basic recipe which we happen to love, cobbled together from various editions of the Joy of Cooking plus some online research. The ice helps keep the cucumbers crispy, as does cooking them just a short time. You can experiment with the pickling spices, and the pickling vegetables for that matter. We have a jalapeño bread and butter pickle recipe for people who love their pickles spicy. Do you have a favorite bread and butter pickle recipe? If so, please tell us about it in the comments. Start with the freshest pickling cucumbers you can find; your pickles are only going to be as good as the produce you start with. The fresher the cucumbers are, the crispier your pickles will be. 1 Prep the cucumbers: Carefully rinse the cucumbers, scrubbing away any dirt that may have stuck to the ribs. Slice off 1/8-inch from the ends and discard. Slice the cucumbers in 1/4-inch thick slices, place in a large bowl. Add the sliced onions and pickling salt. Stir in so that the salt is well distributed among the cucumber slices. Cover with a clean tea towel (thin towel, not terry cloth). Cover with a couple of inches of ice. Put in the refrigerator and let chill for 4 hours. Discard ice. Rinse the cucumber and onion slices thoroughly, drain. Rinse and drain again. 3 Sterilize the jars: If you are planning to store your pickles outside of the refrigerator for any length of time, you will need to sterilize your jars before canning, and heat the filled jars in a hot water bath after canning. If you are planning to eat the pickles right away and store them the whole time in the refrigerator, you can skip the water bath step. It's still a good idea to sterilize the jars first, you can do that by running them through the dishwasher, or placing them in a 200°F oven for 10 minutes. 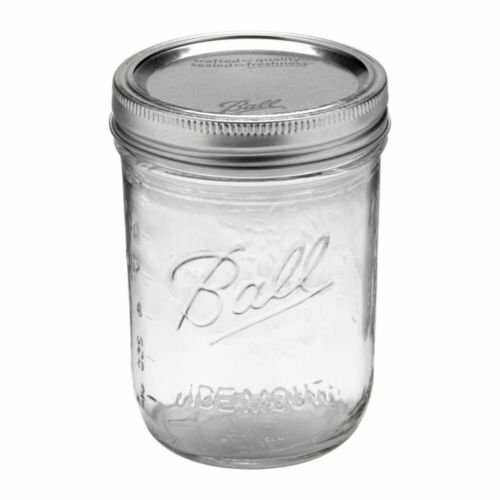 To sterilize the jars for canning, place empty jars on a metal rack in a large, 16-qt canning pot. (Jars must rest on a rack in the pot, not on the bottom of the pot). Fill with warm water and bring to a boil. Reduce heat to warm to keep the jars hot and ready for canning. 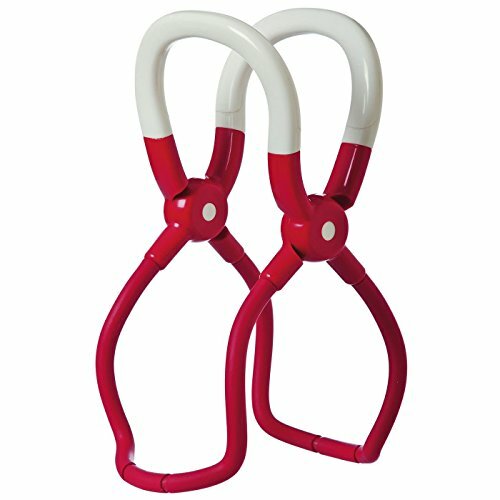 Remove with tongs or jar lifters one by one as you can the cucumbers. Sterilize the lids by bringing a pot of water to a boil and pouring water over a bowl containing the lids. 4 Boil vinegar, sugar, pickling spices: In a 4 qt or 6 qt pot, place the vinegar, sugar, and all of the spices. Bring to a boil. Once the sugar has dissolved, add the sliced cucumbers and onions. Bring to a boil again. As soon as the sugar vinegar solution begins boiling again, use a slotted spoon to start packing the hot jars with the cucumbers. 5 Pack jars with cucumbers and onions, pour pickling syrup over them: First pack a jar to an inch from the rim with the vegetables. Then pour hot vinegar sugar syrup over the vegetables to a half inch from the rim. Wipe the rim clean with a paper towel. Place a sterilized lid on the jar. 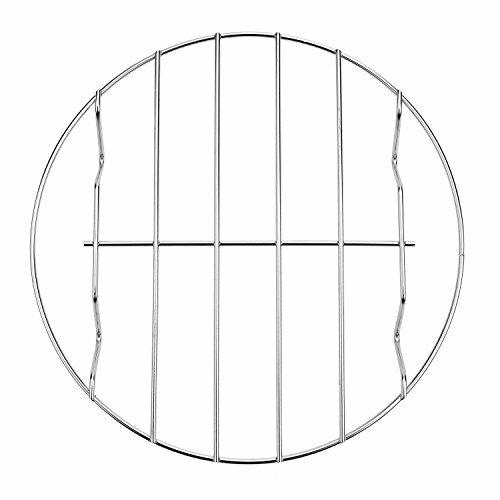 Secure with a metal screw band. 6 Process in hot water bath: If you are planning to store pickles outside of refrigerator, process the filled jars in a hot water bath for at least 15 minutes. Return filled jars to the same canning pot with its already hot water. Water level needs to be at least one inch above the top of the cans. Bring to a boil and let boil hard for 15 minutes, or 20 minutes for altitudes of 1001 to 6,000 feet. Over 6,000 feet, boil for 25 minutes. Remove jars from pot. Let cool down to room temperature. Jars should make a popping sound as their lids seal. If a lid doesn't properly seal, do not store the jar outside of the refrigerator. Hello! All photos and content are copyright protected. Please do not use our photos without prior written permission. If you wish to republish this recipe, please rewrite the recipe in your own unique words and link back to Bread and Butter Pickles on Simply Recipes. Thank you! Jalapeno bread and butter pickles - try this technique with jalapenos instead of cucumbers, delicious! Can you leave the pickles to sit with the onions, and salt under the ice overnight? Hi Emma, I don’t recommend it. I think it might make the cucumbers too salty. My husband is a big fan of bread and butter pickles. We had several harvests of pickling cucumbers this year. And not having a bread and butter pickle recipe, I tried this one. Needless to say, but he loved them. We all love them! They are the perfect mix of sweet and tangy with the little bit of warmth from the aromatic spices. Absolutely perfect. I will be writing this recipe on a recipe card so I will have it for next year! Thank you so much for sharing. I use this recipe every year I make my pickles. It’s easy and so delicious! I get numerous compliments on my pickles from friends and family. I’m so glad you like the pickles Shanna! best recipe I’ve tried for bread and butter pickles. I didn’t realize how much better the cloves and all-spice would make this taste. Highly recommend this recipe – also very easy to make. I will make again for sure. I have made thes bread and butter pickles for several years. ( I don’t remember what year this post is from.) I love the large variety of spices and the large amount of onions. I eat them all winter long on my lunch sandwiches. I eat enough of them to call them a vegetable rather than a relish. Please disregard my question. I should have read the comments first :) Looks like I’ll be making bread and butter pickles this week! Can you use regular cucumbers instead of pickling cucumbers? I have extra from the garden and was hoping to use them to make Bread and Butter pickles. Thank you. Pickling cucumbers are just small cucumbers. I use mine from the garden all the time! them being. Oh, you wonder who come up with the name Bread and Butter Pickels. I don’t know who either but try eating them on a piece of bread and butter, especially on home made bread and use real butter, that may be the why they got the name. We emptied a few jars that growing up. I made these pickles last week and they are OFF THE CHAIN! I will be making more before the pickling cucumbers are out of season. Delish! Delicious! I made refrigerator pickles. I like ’em crunchy so I did not boil / cook the cucumbers, I just poured the hot vinegar juice over them and packed them. They are wonderful! Never made with onions? Can I leave them out? These sound awesome and making them Aug 1st 2018! Hi Janice, I’ve never made them without the onions, so don’t know how they would turn out. But if you try the recipe that way, please let us know how it goes for you! I made them and just added onion powder as I didn’t have any fresh onions on hand. Turned out great. Great pickles. Made a double recipe and finished with only about two hours of labor (not counting the waiting). Thanks for the recipe. Hey! If I want to make them in one big jar … is it ok? or I have to use half of the engredients? Like 1 cup sugar not 2 ect.? Hi Deborah, yes, you should be able to halve the amounts to make a half batch to put into one large jar. Thanks! Can I use sea salt? Hi Angelina, I haven’t tried making pickles with regular cucumbers, but if you do, please let us know how it turns out for you! Yes you can. I did it and they are wonderful. I soaked mine all night and I think they are way to salty what could I do to get the salt out? Hi Tracy, try soaking them in plain water. Can I make bread and butter pickles without slicing them? Hi Caralee, good question, I don’t know! I’ve only made them by slicing them first. That way the salt and pickling spices can more easily penetrate the cucumbers. Yes, use small pickles, so the flavors seep in – Gherkins, are a bread and butter type pickle. can i use this recipe for making relish? Hi Louise, sure! These pickles would make a great relish. I have made these three times and my of eight loves them! This year I came across another recipe that boasted “the best” which required twice as much sugar! Yikes! I made that recipe today and we’ve all decided that we like Elise’s recipe much better! So tomorrow we’re canning a double recipe and never changing again! I’m so glad you like it Heather! Hi Barb, I think if you let them sit overnight, the cucumber slices may end up taking in too much salt and the end result may be too salty. But if you do try it, please do let us know how it turns out for you. Plus you have to keep ice on top so no sleeping! I made a batch of these 50 hours ago. When can I eat them? I made these, I think these are the best ever! Coming from someone who doesn’t care for pickles, is saying a lot! I think they are too sweet so I put 1/4 cup less sugar and I tho k next time I’ll put 1/2 cup less sugar. I was wondering if I can add a cup or 2 of water to dilute the vinegars?? Hi Ale, I haven’t tried making these with more diluted vinegar, but if you do, please let us know how it turns out for you! One thing that should be said here, is that vinegar is the preservative in this recipe, and as with most sweet cucumber pickles, it’s the only preservative. Most vinegars to be used in canning, are at 5% acidity. This is needed to prevent botulism. You should never alter the preservative ingredients of a known safe canning recipe!